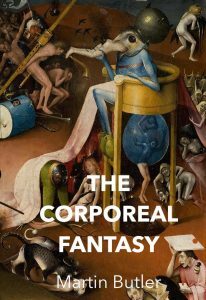 The corporeal fantasy is your life, a fantasy created by your senses, mind, and desires. This fantasy has its pleasures and pains, and one fine day comes to an end. To see beyond the corporeal fantasy is a massive undertaking and a lifetime’s effort. Even then there are no guarantees – slumber has its benefits. If you are interested in a journey that few would make, then you have come to the right place. The essence of the approach and content here is to stare reality in the face, and with no reservations. This means embracing the opposites – life and death, pleasure and pain, beauty and ugliness, order and disorder and so on. To shy away from any of these is to be haunted by it. It becomes the bogeyman hiding under the bed, and we, in turn, become neurotic and suffer. Some of the material here will be challenging, but better challenging than simply repeating the “happy ever after” stories trotted out by most “spiritual” traditions, religions and self-help gurus. Any endeavor that only considers half the picture is doomed to failure. Our natural tendency to embrace the life-affirming and deny the life-negating can only lead to a neurotic condition. The strange thing in all of this is the fact that a conscious attempt to embrace both sides of the situation we find ourselves in, makes us happy. The strain and effort required to maintain an unbalanced view of life disappear, and we are no longer haunted by the bogeymen of our own making. You will find three resources here, the latter two building on the previous ones. There are increasing amounts of free material – articles, podcasts, and books. These set the scene and simply reveal the reality of our existence. People who want greater depth can subscribe to the Patreon channel. This provides in-depth analysis of the great sages who have addressed reality and found the bogeyman to be less than impressive. Finally, there is individual mentoring, although because there are only two people qualified to do this, availability can be an issue. The aim of all this is to acquire inner power, and certainly enough power to stare the bogeyman down. This power comes from understanding, above and beyond anything else. But it would be misleading to claim that this is easy work. It is not, and this is why most people will not be interested. Understanding requires work and a good dose of courage. If this line of work interests you, come back regularly or you can subscribe (reveal the sidebar or go to the about page). Articles will appear regularly, and the videos posted on the YouTube channel will be posted here too. Enjoy.